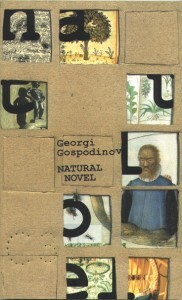 Georgi Gospodinov was born in 1968 and is a poet, writer and playwright, one of the most-translated Bulgarian authors after 1989. His first poetry book, Lapidarium (1992), won the National Debut Prize. It was followed by The Cherry Tree of One People (1996), which captured the Best Book of the Year Prize from the Bulgarian Writers’ Association. Two other poetry books followed: Letters to Gaustin (2003) and the collected volume Balads and Maladies (2007). His poems have been published in many international anthologies, most recently in New European Poets (Graywolf Press, 2008); A Balkan Exchange. Eight Poets from Bulgaria and Britain (Arc Publications, 2007); A Fine Line. New Poetry from Eastern & Central Europe (Arc Publications, 2004). His most recent book in German is the poetry volume Kleines morgendliches Verbrechen, Droschl Verlag, 2010. 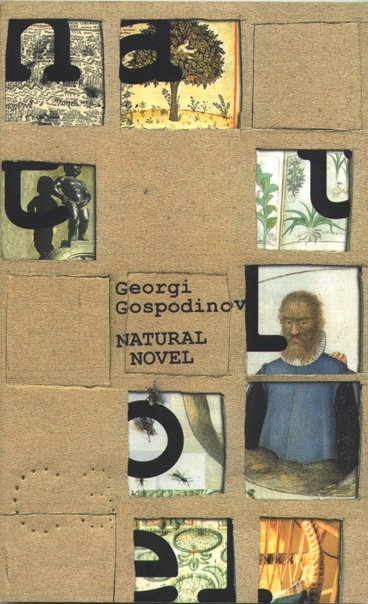 However, Gospodinov’s Natural Novel (1999; English version: 2005) is the book that has gained international acclaim. It has already been reprinted seven times in Bulgaria and translated into 17 languages, including English (Dalkey Archive Press, 2005), German, French, Spanish, Czech, Italian, Danish, and Serbian, among others. 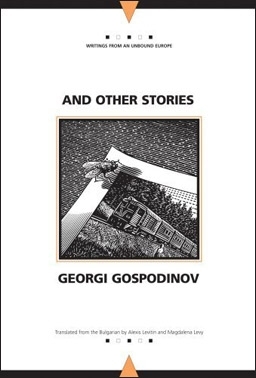 Gospodinov’s volume of short stories, And Other Stories (2001), has been translated into English, French, German, Czech, and Italian, among other languages. In 2007, the English version of the collection was longlisted for the Frank O’Connor Award. Gospodinov’s stories have been included in the anthologies Best European Fiction 2010 (ed. Aleksandar Hemon, Dalkey Archive Press) and Passport to Crime. The Finest Mystery Stories from International Crime Writers (Ellery Queen Mystery Magazine, 2007). Gospodinov’s play D.J. (the initials stand for Don Juan) won the prize for Play of the Year 2004. It has been staged in Sofia, France and Austria. His new play, The Apocalypse Comes at 6 pm, has been staged in Sofia, 2010, and won the National Award Askeer for the Best Dramatic Text of the Year. The play has been selected by the European Theatre Convention (ETC) and it was chosen from among 300 plays for the International theater festival hotINK at the LARK, New York, 2011. A radio-version of The Apocalypse Comes at 6 pm has been produced by the Bulgarian National Radio. Georgi Gospodinov has written screenplays for short feature films, including Omelette (4.44’), which won with Sundance Jury Honourable Mention at the Sundance Film Festival 2009 (International Shorts Competition Program). Gospodinov edited I’ve Lived Socialism. 171 personal stories (2006), a collection of ordinary people’s memories of socialist times. His work in this field continued with the Inventory Book of Socialism (2006, co-authored with Y. Genova), a catalogue of Bulgarian everyday life objects from the period 1956-1989. Both works were among the most debated and bestselling books in Bulgaria. He is the author of a graphic novel The Eternal Fly (2010, with the artist N. Toromanov), and a collection of essays and stories entitled Invisible Crises (2013). One of his latest books, the novel The Physics of Sorrow, came out in Bulgaria in December 2011. It won the 2011/2012 Bulgarian Novel of the Year Award of the National Endowment Fund ‘13 Centuries Bulgaria’, the 2012 National Award ‘Hristo G. Danov’ for best fiction, the 2012 City of Sofia Award for Literature and the 2012 Readers’ Prize ‘Flower of Helicon’ for bestselling book of the year. In 2014, the novel was a finalist for four international literary prizes. In Italy, Fisica della malinconia (Voland Edizioni, 2013), translated by Giuseppe Dell’Agata, was shortlisted for Premio Strega Europeo in Rome and Premio Gregor von Rezzori in Florence. In Germany, Physik der Schwermut (Droschl Verlag, 2014), translated by Alexander Sitzmann, was shortlisted for Haus der Kulturen der Welt International Book Prize and for Brueke Berlin Award. Recently, Physique de la mélancolie (Éditions Intervalles, 2015), translated by Marie Vrinat-Nikolov, came out in France. The novel was widely reviewed in Europe. “This book is madness… extraordinary and restless” (Berliner Zeitung). In 2015, The Physics of Sorrow was published also in the USA by Open Letter Books, translated by Angela Rodel. According to The New Yorker, “As Gospodinov conceives it, the Bulgarian word tuga (… “sorrow”) is, like Pamuk’s hüzün or Nabokov’s toska…”. So far, The Physics of Sorrow has been published in English, German, French, Italian, Serbian and Slovenian, and is forthcoming in Dutch, Danish and Arabian. Gospodinov has a Ph.D. and is a researcher at the Literature Institute of the Bulgarian Academy of Sciences; he was also a columnist for the daily newspaper Dnevnik. He has taken part in many literary readings and festivals in the UK, Germany, France, Portugal and other places all over Europe. In 2008, he was a guest writer for the Berliner Kuenstler program, DAAD. Prirodni roman, translated by Marija-Joanna Stojadinovic, Beograd: Geopoetika, Serbia, 2001. 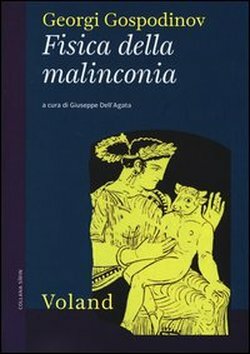 Fisica della malinconia, translated by Giuseppe Dell’Agata, Roma: Voland, Italy, 2013. L’alphabet des femmes, traduit du bulgare par Marie Vrinat, Paris: Arlea, France, 2003. Lapidárium, translated by Ondřej Zajac, Praha: Literární salon, Czech Republic, 2009. Kino. The Poetry of Nikola Vaptsarov. Edited by Georgi Gospodinov, Middlesbrough: Smokestack Books, UK, 2007. Lapidarium [Lapidarium], Yambol: Modus Stoyanov, 1992. The novel was widely reviewed in Europe. “This book is madness… extraordinary and restless” (Berliner Zeitung). In 2014, the novel was a finalist for four international literary prizes. In Italy, Fisica della malinconia (Voland Edizioni, 2013), translated by Giuseppe Dell’Agata, was shortlisted for Premio Strega Europeo in Rome and Premio Gregor von Rezzori in Florence. In Germany, Physik der Schwermut (Droschl Verlag, 2014), translated by Alexander Sitzmann, was shortlisted for Haus der Kulturen der Welt International Book Prize and for Brueke Berlin Award. Physique de la mélancolie (Éditions Intervalles, 2015), translated by Marie Vrinat-Nikolov, has recently come out in France. In 2015, The Physics of Sorrow was published in the US by Open Letter Books, translated by Angela Rodel. According to The New Yorker, “As Gospodinov conceives it, the Bulgarian word tuga (… “sorrow”) is, like Pamuk’s hüzün or Nabokov’s toska…”.